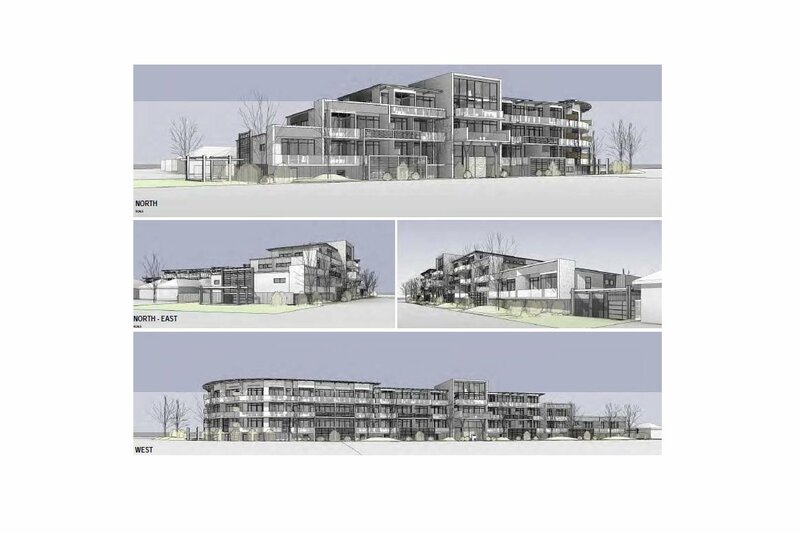 Apartment living has found its way to the south-western suburb of Altona Meadows, where a new apartment building has been proposed for 390-394 Queen Street and 83-91 Merton Street. Designed by Mills Gorman Architects and developed by Noordenne Constructions, the development if approved will include 80 dwellings comprising of one, two and three bedrooms within a 4 storey complex, reaching a maximum height of 13.3 metres. Accompanying the planned apartments, will be 82 resident car spaces and 2 gymnasium car spaces which will be located in a basement level; there are no guest car parks associated with the building. 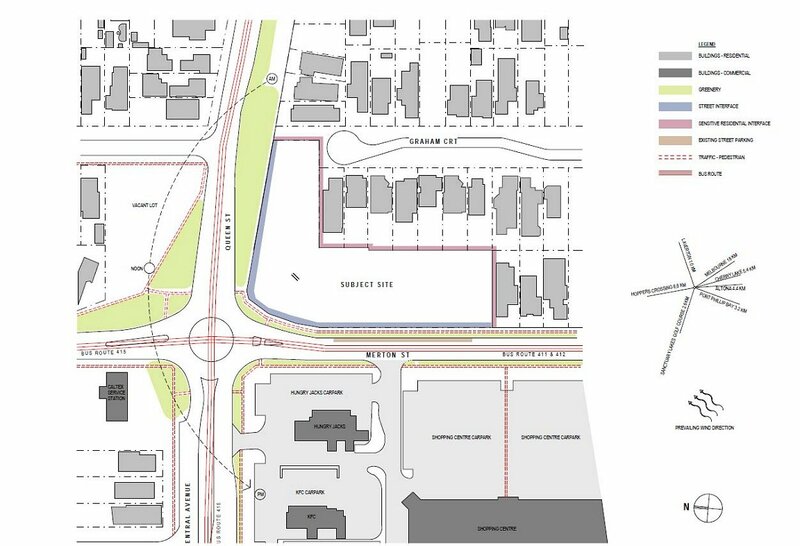 Incorporated into the proposed development will be a new gymnasium which is slated for the busy corner of Merton and Queen Streets, directly opposite the controversial flower sculpture “Grow”, as well the local shopping centre, Central Square, also owned by Noordenne Constructions. If the green light is given to the proposal, construction will not proceed until after Noordenne completes the new ALDI supermarket, currently being built within the Central Square Shopping Centre car park. 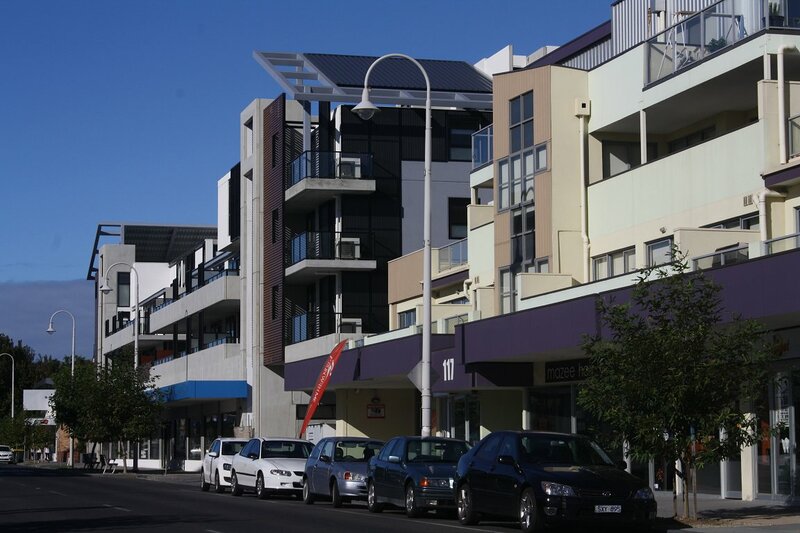 While proposals of this magnitude are relatively new to Altona Meadows, it is not the first medium-high density apartment project that has come before the Hobson’s Bay Council with 2 new apartment complexes currently nearing settlement in Pier Street, Altona. The 5 level apartment building at 105-113 Pier Street will hold 95 dwellings and associated retail upon completion, meanwhile a 4 story development across the road at 112-114 Pier Street will add a further 45 dwellings and 5 new retail tenancies. 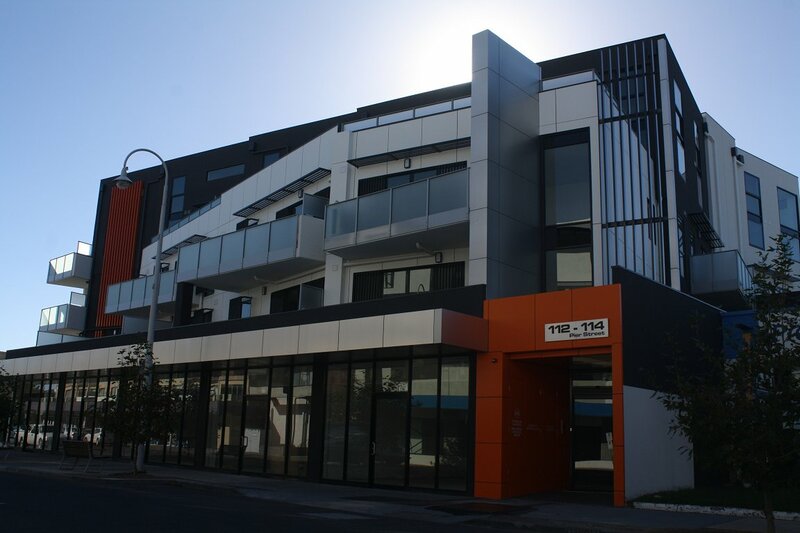 Would you rather live in an apartment within a short walk to public transport, beach, retail and services or the other side of Geelong Rd in a new estate such as Truganina where you have, well....a house, car and not much else?